Discover the Isle of Mull by tall ship and sea kayak. Imagine sea kayaking Iona, Staff, into Fingal's Cave, the Treshnish Isles before mooring each evening in a new sheltered anchorage. This is a fantastic opportunity for anyone who wishes to explore this stunning region with the comfort of the Lady of Avenel each evening, hot showers, great food, wine and good company. The Lady of Avenel offers a comfortable base from which we will set out each day for our kayaking explorations. Accommodation is in twin cabins or two four bunk cabins. There are showers with hot water and flush toilets aboard. The catering will be to the high Clearwater Paddling standard and meals will be taken in the comfortable and well appointed saloon. We will need eight bookings for this trip to run, so please keep this in mind if you thinking of joining the tour. We are happy to take provisional bookings for this trip. The Lady of Avenel comes with its own skipper andfirst mate. 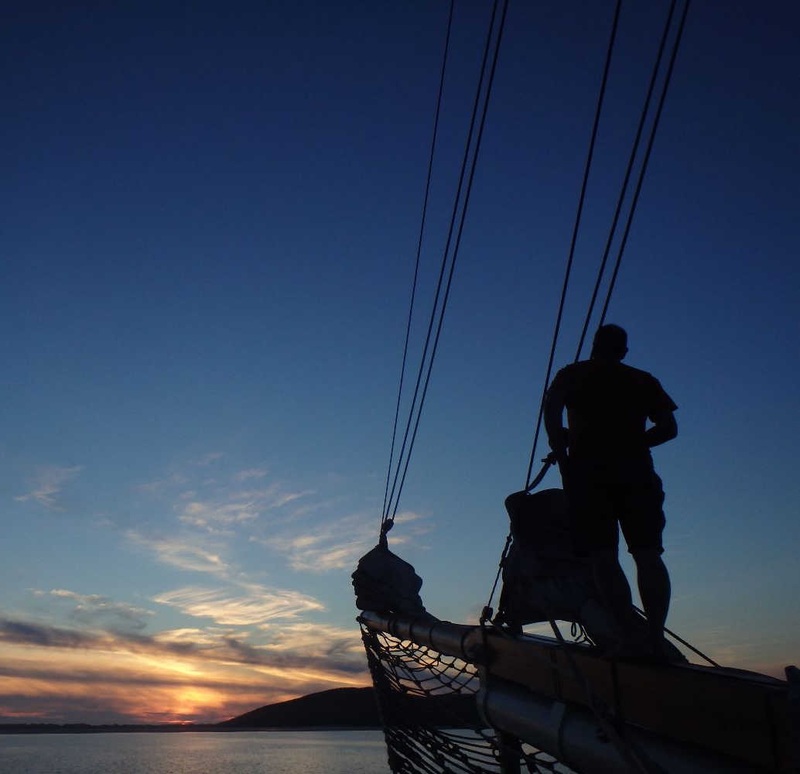 If you wish to be – you too can be the crew and experience tall ship sailing at first hand, literally learning the ropes, taking responsibility on the helm, and with harnesses, climbing high into the rigging. There will be no compulsion to work the ropes, but being fully involved will certainly add a new and enjoyable dimension to your sea kayaking holiday.